This year we think we just might have come up with the best lineup of local and international speakers of any of our conferences yet. In fact, you’d be hard pressed to find a better lineup anywhere. Cameron Adams – The Man in Blue – melds a background in Computer Science with over eight years experience in graphic design to create a unique approach to interface design. Using the latest technologies, he likes to play in the intersection between design and code to produce innovative but usable sites and applications. Cameron will be presenting The future of web based interfaces. Successful software developer, long standing web development speaker, writer, evangelist and expert, John has spent the last 15 years working with and developing for the web. As the head developer of the leading cross platform CSS development tool Style Master, and developer and publisher of renowned training courses and learning resources on CSS and standards based development, John is widely recognized as a leader in these fields. As a presenter and educator, John speaks frequently at conferences around Australia and the world. His idiosyncratic blog Dog or Higher covers a broad range of subjects, particularly in technology and innovation, and is widely read and referenced. John will be presenting Trends and predictions in web technology. Angela Beesley is a founder of Wikia, the community-focused wiki hosting site which is developing over 2500 wikis. Angela is the Vice President of Community for Wikia and manages a remote team of community support staff located across five continents. Additionally, Angela is Chair of the Advisory Board of the Wikimedia Foundation, the non-profit organisation responsible for Wikipedia, Wikibooks, Wikinews, and the other Wikimedia projects. She contributed a chapter on managing wikis to the book “Wikis: Tools for information Work and Collaboration” which was published in 2006, and has been involved with Wikipedia since early 2003. Her blog can be found at WikiAngela. Angela will be presenting Wikis and community collaboration. Scott will be presenting The myths of innovation. Bert will be presenting A new life for old standards – revisions to HTML, CSS and others as well as appearing at the W3C SIG day. Additionally, this year Bert will be the host of the Web Directions Breakfast. Jonathan Boutelle is the CTO for Slideshare.net, a social site for sharing PowerPoint and other types of slideshows. Built on Ruby-on-Rails, SlideShare makes generous use of both AJAX and Flash. Prior to this, Jonathan was the the technical architect of MindCanvas, a rich online survey application for design research that also relies on both AJAX and Flash. Jonathan specializes in architecting rich web experiences, using whatever technologies are most suitable for the task. Jonathan’s introduction to computer science was working in the lab of Andy Van Dam (the pioneering computer graphics researcher at Brown University), where he learnt how building stunning experiences meant thinking about both art and technology. His experience has included working in data visualization systems and business to business e-commerce. Jonathan writes an occasional rant on his blog. Jonathan will be presenting Ajax or Flash: what’s right for you? Scott Buchanan is the passionate founder of Buchanan Law and experienced IP, IT and telecommunications lawyer. Scott’s client base spans innovative operators across such sectors as telecommunications, federal government, new and traditional media, pay TV, biotechnology and a diverse range of players in the web services sphere. He regularly advises IT start-ups on the interaction of IP rights in the on-line environment, privacy, telco regulation, e-commerce and is especially interested in working with clients to develop and implement clever IP commercialisation strategies. Scott is also registered by the Australian Institute of Patent & Trade Marks Attorneys to practise as a registered Trade Marks Attorney. When not running cutting edge legal arguments Scott enjoys running after his two little kids and long distance running generally. Mike Cannon Brookes is co-founder and CEO of Atlassian Software Systems, the fastest growing Australian software company. Atlassian produces JIRA, a professional issue tracker, and Confluence, the enterprise wiki. Mike has received international recognition for his work including Australian IT Professional of the Year in 2004 (Consensus Awards) and was the 2006 Australian Entrepreneur of the Year (Ernst & Young). Mike will be presenting Organisational wiki adoption. Sebastian Chan is currently the Manager of the Web Services Unit at the Powerhouse Museum. Coming from a background in social policy, journalism and media criticism as well as information technology, he has been building and producing websites and interactive media since the mid 1990s. At the Powerhouse he has been responsible for driving a strong user focus in design, usability and content, as well as expanding the scope and reach of the museum’s suite of online projects. In the last financial year his team was responsible for tripling visitation to the Museum’s online resources and a large suite of innovative experimental projects. He is known as a cultural sector specialist in social media and Web 2.0 applications, as well as web analytics. A regular speaker in Australia who has also delivered workshops and presentations in the USA, Canada and UK, Sebastian’s other interests include electronic music and digital art. He has directed and curated large scale national and international events and festivals, and also produces related media from radio broadcasts to print. At the Powerhouse he runs the internationally popular Fresh + New blog covering issues and new ideas around digital media and museums. Sebastian will be presenting Social media and Government 2.0. Andy Clarke has been working on the web for almost ten years. He is a visual web designer based in the UK and started his design consultancy Stuff and Nonsense in 1998. As lead designer and creative director, his clients include national and international businesses, charities and government bodies. Andy is a member of the Web Standards Project where he redesigned the organization’s web site in 2006. He is also an invited expert to the W3C’s CSS Working Group. Andy regularly educates web designers on how to create beautiful, accessible web sites and he speaks at workshops and conference events worldwide. He writes about design and popular culture on his blog, All That Malarkey and is the author of Transcending CSS: The Fine Art of Web Design. Andy will be presenting The October Revolution as well as a full day workshop Transcending CSS. Stephen is the Design Research Lead at News Digital Media (NDM) in Sydney. His job involves working with the business to help extend the work of the user experience team from the reactive day-to-day project work into the areas of strategy and innovation. The design research team utilises a range of techniques and theories from the social sciences to help capture and understand the motivations of real people. Working with the user experience team, business units and business strategists, the design research team helps create practical, effective and innovative design solutions. Stephen will be presenting Making useful things no-one knew they needed: building ethnography into the design process. Andrew Downie is a psychologist and also has a post-graduate diploma in education. He has, for both personal and professional reasons, a keen interest in making products and services available to the widest possible range of people. Andrew has worked for the NSW Department of Education and Training since 1992, providing adaptive technology resources to staff and students. As the world wide web has become more important in the educational environment, Andrew’s role has increasingly involved evaluating website accessibility. Brian Fling is a leader in interactive strategy and both the web and mobile fields. He has worked with several Fortune 500 companies to help design and develop their web and mobile experiences. Brian is a frequent speaker and author on the issues on mobile design, the mobile web and mobile user experience. He has authored the dotMobi Mobile Web Developers Guide, the first free publication to cover mobile web design and development from start to finish. Brian also runs one of the largest online communities focused on mobile design. When he isn’t discussing mobile, Brian serves as co-founder and Director of Strategy of Blue Flavor, an interactive agency based in Seattle USA. Brian will be presenting Web 2.0 + Mobile 2.0 = ? as well as a full day workshop, Mobile web design and development. Justin French is a graphic-designer-turned-web-application-developer currently enjoying life working with the Ruby on Rails framework on a daily basis as a Senior Developer at Melbourne startup RedBubble, following a few years with US host TextDrive and many years contracting both locally and internationally. Justin will be presenting Pushing beyond design. Scott is Web Technology Strategist at News Digital Media (NDM) in Sydney. He has lead several major redesigns of NDM websites, converting them from legacy table based layouts to standards compliant, accessible and search engine friendly websites. His current role involves strategy and education on search engine optimisation, accessibility and best practice web development across the broad network of NDM websites. Scott believes and practices a holistic approach of usability, design, development and findability, and communicates the end result across all areas of the business. Scott will be presenting Is SEO evil? After getting hooked on the web in 1996 and spending several years pushing pixels and bits for the likes of IBM and Konica Minolta, Aaron Gustafson decided to focus full-time on his own web consultancy, Easy! Designs LLC. Aaron is a member of the Web Standards Project (WaSP) and the Guild of Accessible Web Designers (GAWDS). He also serves as Technical Editor for A List Apart, is a contributing writer for Digital Web Magazine, and is quickly building a library of writing and editing credits in meatspace. He has graced the stage at numerous conferences including An Event Apart, COMDEX, SXSW, and The Ajax Experience and is frequently called on to provide web standards training in both the public and private sector. Adrian Holovaty, a Web developer/journalist, is founder of EveryBlock, a local information startup in Chicago. He has worked as a programmer/journalist at washingtonpost.com and a number of other American newspaper Web sites. Just as newspaper reporters write articles and TV journalists shoot video, Adrian writes journalism Web apps. Cocreator and lead developer of the popular Django Web framework, Adrian enjoys contributing to open-source projects, making information accessible for the public good and reverse-engineering things. His All Music Guide fixer was the inspiration for Greasemonkey, and his site chicagocrime.org was one of the original Google Maps hacks. He lives in Chicago and at Holovaty.com. Paul McCarthy is interested in innovation and the rapidly emerging global digital services economy. He is Manager, Strategic Projects with the NSW Department of Commerce, Government Chief Information Office and adviser to Australia’s peak interactive media industry group: AIMIA. Formerly, McCarthy was co-founder of The Digital Media Group Ltd, a financial software company and IBM’s Asia Pacific Multimedia Centre based in Sydney. Paul will be presenting What’s under the hood? Which open source tools are fuelling today’s leading websites? 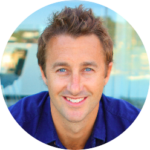 Ben McGuire is Regional General Counsel for Sir Richard Branson’s Virgin Management Asia Pacific. He takes care of the legal aspects of the Virgin group’s regional investments and establishes new Virgin businesses inAustralia and Asia Pacific. One of his more challenging tasks is dealing with the intellectual property issues arising in protecting one of the world’s most respected brands. Ben apologises, but he is a notorious Luddite: he is not on Facebook, does not write a blog, has no idea how a style sheet works, and only recently learned what itunes does. Instead, he swims. He clearly spends too much time face down in cold water, having recently swum the English Channel. Rob has been modeling Information Architectures and IA driven business models since 1989. As the technology landscape evolved he moved from digital pre-press, to interactive media, to network applications and finally to pervasive computing. Now he has joined Mobile Online Business (MOB) and is focused upon exploring life after Convergence – a place where objects and their interfaces Diverge allowing you to control them anywhere, anytime. His primary goal is to provide MOB’s clients with hands on, real world experience with this intangible new world. Mark Mansour has been hacking software since computers had 64k of memory. During his professional career Mark has worked for startups in Silicon Valley and Melbourne building artificial intelligence applications and social networking platforms. Mark has also spent more than a few dark years in the brokerage and banking world both here and in New York. Currently, Mark heads up the software development group at RedBubble but for fun photographs street art, tinkers with microformats and builds geospatial applications. Raul has been involved in digital-media technology (video animation, graphics, image processing, printing) for over 25 years, as software developer, architect, entrepreneur, and team leader. He recently joined Google Australia where he is helping to build and manage the growing Engineering team. Alan will be presenting Mashups, web apps and APIs. George Oates joined a company called Ludicorp back in the middle of 2003, having moved from Australia, where she had enjoyed a successful career in the web industry. At the time, Ludicorp was making a hilarious online game called Game Neverending and George jumped in, helping design game elements, the GNE universe, and how players interacted. It wasn’t long before Ludicorp shifted gears somewhat and decided to enter the photo-sharing space. The entire team were torn between wanting to keep doing fun game things and the need for money. So, they managed to find a way to blend the two, and Flickr was born! George will be presenting Human Traffic. Laurel Papworth runs a consultancy specialising in educating companies in how to maximise value from social networks, user generated content and web 2.0 technologies. In the past she had lead roles in digitising Fairfax Newspapers and establishing Optus Convergent media and now Laurel lectures on marketing into social networks at the University of Sydney and advising clients such as Channel 10 (developing online communities around shows such as Australian Idol) and Mobiles2Go (world leader in location based mobile services). Laurel frequently presents on Web 2.0 technologies and how they can best be used at a business level including corporate blogging, RSS feeds, user documentation wikis and vibrant customer communities. Laurel will be presenting Social networks and mobiles as well as a full day workshop, Building and maintaining vibrant social networks. Known internationally as the man who fused virtual reality with the World Wide Web to invent VRML, Mark Pesce has been exploring the frontiers of media and technology for a quarter of a century. The author of five books and numerous articles, Pesce has written for WIRED, Feed, Salon, PC Magazine, and The Age. For the last three seasons, Pesce has been a panelist on the hit ABC show The New Inventors. From 2003 to 2006, Pesce chaired the Emerging Media and Interactive Design Program at the world-renowned Australian Film Television and Radio School. In February he received an appointment as an Honorary Associate at the University of Sydney, and has gone on to found FutureSt, a Sydney media and technology consultancy. Rashmi Sinha is a designer, researcher and entrepreneur. She is the CEO for SlideShare, a rapidly growing site for sharing slideshows. Rashmi writes a blog at rashmisinha.com. Rashmi received a PhD in cognitive psychology from Brown University in 1998. After moving to UC Berkeley for a PostDoc, she fell in love with the web, and realized that many issues that web technologists think about are problems of human psychology. She switched departments and worked on search interfaces & recommender systems at the Information School, UC Berkeley. Deciding that she enjoyed practical problems more, she co-founded Uzanto, a user experience consulting company. Lately Uzanto has focused on products – their first product MindCanvas (released Nov 2005) – reshapes traditional research techniques like card-sorting, and divide-the-dollar into game-like experiences for remote research. In Oct 2006, Uzanto released its second product – Slideshare, a website for sharing presentations. Now, Rashmi is focused on the business side of things but is still intimately involved with design for both products. He picked up Ruby on Rails in 2005, he has released successful websites, such as MyConfPlan, and a growing collection of open source projects that are used throughout the Ruby on Rails community – New Gem Generator, Composite Primary Keys, and the Magic Model Generator, plus more. For the last two years, Dr Nic has lived and worked in India, Sweden and Netherlands; has attended RailsConf 2006 and 2007 in the USA, and met and learned from many of the legends of the Ruby on Rails community. He is ranked in the top 10 of all Ruby/Rails developers for his continuous contributions mashed with good humour. Chris Wilson is the Internet Explorer Platform Architect at Microsoft. He’s worked on web browsers since 1993, when he co-authored the first version of NCSA Mosaic for Windows. Since 1995, he’s worked on Microsoft’s web platform. In this 14-year-running saga, he’s inflicted good (first implementation of Cascading Style Sheets in IE) and bad (overlapping <B> and <I> tags) on the world, and figures his karma will be even by 2012 the way he’s going. In his free time, he enjoys photography and hiking with his wife and young daughter, and scuba diving in the chilly waters of Puget Sound as a PADI Assistant Instructor. With any free money, he replaces the cameras he’s destroyed by taking them underwater for dive photography. Occasionally he remembers to share his thoughts on his blog, but more frequently updates his Flickr account. Ben Winter-Giles is a Consultant with SMS, is currently engaged at the Programme Management level of a whole of Government initiative with the Department of Treasury. Ben has over 10 years experience in Web, Design and Programme Management in the Government ICT sector. Ben also has specialties in enterprise level Human Factors Integration and user centered design for software. Recently Ben has focussed his efforts on the development of integrated management and tactical solutions. Aiming to free creativity and promote responsiveness and flexibility as a way forward for delivering effective design and development solutions within the highly contained Federal Government environment. Ben’s previous clients include, Department of Employment and Workplace Relations, Medicare Australia, Australian Taxation Office, and a large number of local government and Private sector clients. He is currently developing a Human Factors Integration assessment and blueprinting toolset. Alex Young has been involved in online for over a decade, moving from instructional design, visual and interaction design through to project and people management within the education, training, TV and telecommunications fields. This journey has instilled a sense of purpose to strive for an optimal user experience for every solution or challenge that presents itself. As part of Mobile Online Business, Alex is focused on how to help companies communicate better with their customers by understanding the pervasiveness of emerging technologies and the ways to best utilise these to communicate with their customers.